There are but fifteen days left before May 11, 1998, election day, a crucial day for the nation. On the national level, the People will choose the next President and Vice President of the Philippines, 12 new Senators, the first set of Party List Representatives. On the local level, the People will elect or re-elect their congressional representatives, their governors, their mayors, their vice-mayors, and their provincial and municipal board members. The outcome of this day will profoundly affect the lives of our People. It will determine whether on our national and local levels the common good is pursued, or merely selfish interests, whether our economy will serve the dignity of the Filipino citizenry, and not hopelessly alienate them from their human dignity and their national patrimony, whether law and order will be seriously pursued, and not sacrificed on the altar of power pragmatism. In this context, it is time that we distance ourselves from the heat of the campaign rhetoric and the passion of the positions that have been taken in order to appreciate anew the value of our electoral exercise. We are no longer under an unwanted dictatorship; we are no longer under a foreign colonial power; we are no longer a people unable to exercise the rights of suffrage with freedom and dignity. We are, on the contrary, a people celebrating a century of independence from Spanish colonial rule, a people blessed by the remarkable graces of the EDSA revolution, a people victorious in its insistence that political power be exercised and limited according to a constitution. We are a people whose majority believe that it is not unlimited power, not obscene privilege, and not glittering fame that must rule in our country, but ultimately God. "Thy Kingdom come," we pray everyday. "Thy will be done." On this earth. In this country. As in heaven. I have therefore not hesitated to call our Faithful to Christian Participation in the current elections. I have called all to examine their consciences and consider whether they are being called by God to offer themselves for political service through partisan involvement. I have encouraged others to join various organizations to help in securing the cleanliness and peacefulness of the forthcoming election. Today, I reiterate my call to citizens of good will to join the efforts of Vote Care for voters education, of the Parish Pastoral Councils for Responsible Voting for poll watching, and of Namfrel for election quick count. Most important of all, I invite all the Faithful to serous prayer for the successful outcome of the forthcoming elections. I most urgently recommend that in all the parishes of this Archdiocese, prayer vigils and processions be organized for honest and peaceful elections. I therefore declare May 8, 1998 as a day of prayer and sacrifice in the Archdiocese of Manila. The Blessed Sacrament should be exposed for extended adoration on that day. Let us keep vigil and stay vigilant. Ultimately, if we reflect back on our history, our right today to elect our own public officials is fruit of Gods own continuing interventions in our history. We must cherish this God-given grace. We must not buckle under its burden, nor resign to the powers of darkness in pessimism or discouragement. We must recall that in the Holy Spirit moving in the action of prayerful citizens there is hope that Gods will prevail. 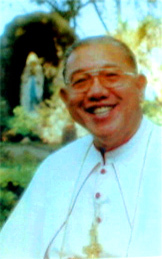 +JAIME CARDINAL L. SIN, D.D.